Londoners are often short on time to go to the gym, but demand results fast — so make perfect candidates for high intensity interval training (HIIT). The method involves doing short bursts of flat-out exercise, followed by periods of less extreme effort. It is regarded by proponents of the regimen as the most effective form of exercise across a number of indicators of good health. For people who respond to the method, it can burn fat, speed up metabolism, improve aerobic- and anaerobic energy-supplying systems and boost sensitivity to insulin. The technique been used for decades, but saw a surge in popularity following a BBC Horizon programme in which Dr Michael Mosley (you may also recognise him from the 5:2 diet) was put through an experiment by professor Jamie Timmons at Loughborough University's sports science department, which showed that by doing just nine minutes of exercise a week, for four weeks, the doctor's insulin sensitivity was improved. However the experiment did not find it improved his aerobic fitness. There's a wide range of gyms across London which are dedicated to the method — we've picked some of the best. If you like tech-y exercise classes with lots of bells and whistles, Bootcamp Pilates offers a high intensity class of 55 minutes. Pilates fans will already be familiar with the Reformer equipment used in this class, but not the fast-moving burn of the HIIT method. You can also do a regular HIIT class using kettlebells, power bands, medicine balls and Bulgarian bags (crescent-shaped sandbags for your shoulders, apparently), or one that focuses on resistance exercises (called TRX). Pilates classes start at £19, but HIIT is £14 for a 40-minute class. There's also a branch in Notting Hill. In a cosy group of four, this £18 class gets you the supervision of a personal trainer with the social side of an exercise class. Expect 30 minutes of exercises, being pushed hard and changed up frequently. Frame classes also have the benefit of clean and chic changing rooms with big mirrors, fancy toiletries and hair dryers — meaning you can take a class and head straight out to work, a date or a night out. Working out at London Fields Fitness. This friendly East End gym charges just £5 for each of its three weekly HIIT classes. The gym was started by two trainers who wanted to give Hackney a friendly independent gym that people would love coming to. Parking’s a bit of a nightmare in the area, so this one’s best for cyclists and locals. Serious about getting fitter? 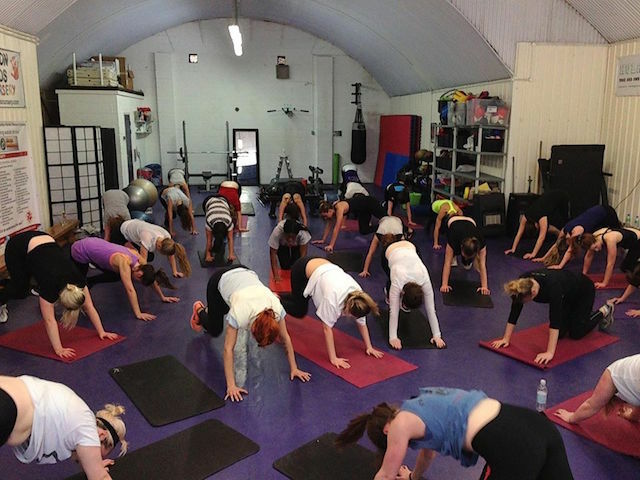 This north London HIIT base is open from 6.30am-9pm most weekdays, as well as at weekends. It’s £20 per class but for that you get gyms equipped with treadmills, suspension equipment and new-fangled weights like the Vipr (a heavy rubber tube which adds intensity to the workout). Classes are limited to 10 people and last an hour. There’s a week's free trial if you’re not yet terrified by the prospect. Suspension training (pitting your own bodyweight against stretchy cables) is the core of this class, lasting a knackering 55 minutes. Classes cost £27 each, but this covers towels, Green & Spring toiletries and power showers. The gym’s a firm favourite with glossy magazine editors and the TRX class gets Vogue Beauty’s seal of approval.